Celebrity actress Zhang Ziyi admits she lacked experience in handling charity donations during an exclusive interview with China Daily over the weekend in an undisclosed place in Liaoning province where she was shooting a movie. 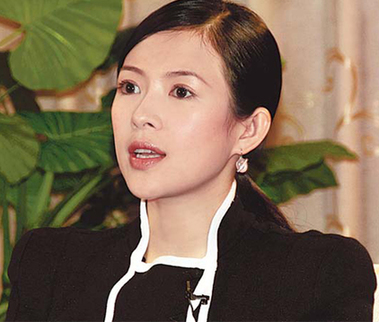 Zhang Ziyi has vehemently denied accusations that she committed fraud in the name of charity, but admitted to inexperience when organizing a donation drive for the relief of the 2008 Sichuan earthquake victims. In an exclusive interview with China Daily, the internationally-celebrated Chinese actress - for the first time - answered some 100 questions, most of which involve details about the money she gave to charity or collected for her own foundation. Ever since an advertisement featuring her was defaced with paint in December, Zhang has been embroiled in a series of allegations. The most serious of the accusations - mostly from netizens - are about discrepancies in the sums that surfaced in various reports. Shortly after the earthquake struck Sichuan on May 12, 2008, killing some 80,000 and dislocating millions, she decided to donate 1 million yuan ($147,000) to the China Red Cross. As she was in the United States at the time, she asked her representative in China to transfer the money. But due to what she claimed to be a "communication glitch", only 840,000 yuan was sent. She said she took "primary responsibility" for it and had already made up for the shortfall. The other contentious figure was $1 million, which she said she had "hoped" to raise, but had never claimed to have "already" raised. The actual amount pledged for the Zhang Ziyi Foundation is slightly less than $500,000, most of which has not been paid. The event in the eye of the storm was a fund-raising drive on May 21, 2008, at the Cannes Film Festival. During the one-hour "hastily arranged" initiative, only $1,392 in cash was collected, far less than the previously reported $50,000. The rest were informal pledges. The total adds up to about $500,000, which is the amount she said she had always referred to when answering the media. Since then, she said she had been making efforts to pressure the donors to honor their pledges, but her efforts have not been very successful. So far, only $15,050 has been collected. Zhang said she would personally make up for the shortfall but would not reveal the people& #39;s names against their will. Zhang also mentioned her foundation was registered in California two days before her fund-raising effort in Cannes. The foundation, a non-profit organization, is of good standing and there have been no financial irregularities, she said. Tears welled in her eyes when she talked about the incident& #39;s impact on her and her family, and again when she recounted the solace and support she got from friends. She said she wants to give back to society because she had got so much from it, using her heavily-subsidized tuition in the drama academy and the dance school as an example.